Welcome back to my Meet The Blogger feature and this week I’m interviewing Laura who blogs over at Em & Me. 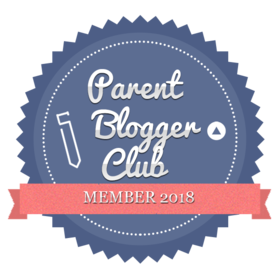 I adore Laura’s blog which has a great mix of parenting, fashion and lifestyle posts meaning everyone is bound to find content to suit their tastes. Have a read all about this fabulous blog and the lady behind the screen, plus be sure to check out her blog and social media pages for regular updates too! Hello! My name is Laura and my blog is Em & Me. I’m a first time mum to my baby girl Emily. I blog all about first time motherhood, play based learning and our family days out. I’ve been blogging since March 2017 on this blog but over the years I’ve had a few different ones. This is the one that I’ve stuck at and enjoyed the most. Since I became pregnant I knew I wanted to blog. As I mentioned, I’ve had a few over the years but never really found my ‘niche’. It took me a while to pluck up the courage (a year) but I thought of a name, got writing and here I am! My favourite thing has got to be all the friends I’ve made. I know that’s a little cliché but Amy of Becoming Mumsy (www.becomingmumsy.com) and Maisie of Love, Maisie (lovemaisie.com) have become some of my closest friends and we talk every single day. They are my absolute rocks and I don’t think I could get through the day without them. That’s definitely my favourite thing! I think that because there’s always something new to write about, I don’t lose motivation that often. But when I feel like I’m losing it, I do some blog admin or read other blogs. There’s always something to be getting on with if you don’t feel like writing. I particularly love making pins! I think the biggest challenge was just getting the courage to start! Other than that I can’t really think of anything. My favourite blog post so far has to be either my breastfeeding journey or my posts about play based learning. My breastfeeding journey took a lot for me to publish because I spoke about some of the difficulties I faced however my activity based posts are some of the most fun. I love watching my girl learn and play and creative messy play is our favourite! All things baby, play, motherhood and life! I think I would just like to continue writing and make something of it. There are some brands I would really like to work with so I hope that happens! Neither, I don’t really like sauce! I’d like to say a massive thank you to Laura for taking part. Check out next week’s post as I welcome another fabulous blogger.